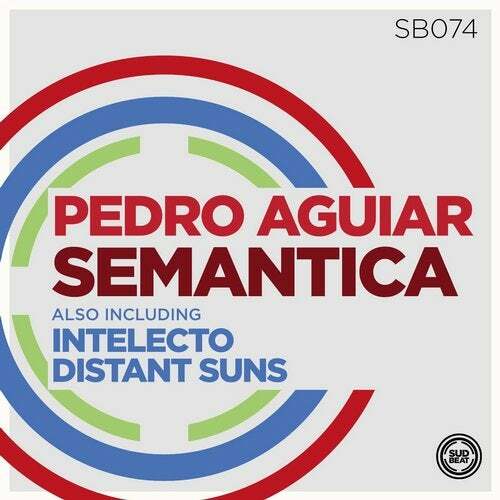 Pedro Aguiar, portuguese DJ and producer, has released on such fine imprints as Bedock, Darkroom Dubs and Lost & Found, and returns to Sudbeat after his appearance on the compilation "Sudbeats Vol. 2". 'Semantica is a hypnotic voyage. Subtle melodics flow beautifully over the infectious keys, that incessantly yet somehow intrusively power this slab of goodness along effortlessly. Oozing a timeless feel, this really works a treat. 'Intelecto is a wondrous dreamy soundscape, with its layered pads wrapping you up in a blanket of sumptuous sound, while tinkly melodics and a driving bassline add the power. Distant Suns is a smile inducing electronic winner. Its warm persona oozing out, while swirly analog phased grittier squelches add a touch of filth.